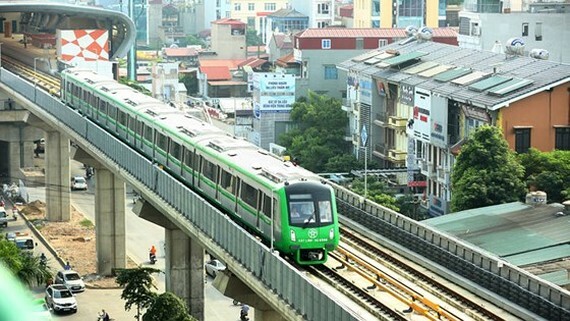 The Hanoi People's Council yesterday gave the green light to spend VND14.46 billion (US$620,000) per year in subsidy for fares of the Cat Linh – Ha Dong railway line, the city’s first metro route. Hanoi authorities agreed to subsidize fares for families in serving the cause of the nation’s revolution, people with disabilities, children under six. Moreover, the government will give subsidy covering 50 per cent of monthly fare for students, laborers in industrial parks and senior people. Clerks who work for enterprises outside industrial parks and those who buy monthly tickets in groups, will enjoy a subsidy of 30 percent of monthly fare. Especially, passengers will travel gratis in the first 15 days of the railway operation. It is scheduled that average fare of the whole route in the railway will be VND10, 180. It is estimated that people enjoying discount will make up 12 percent of the whole passengers. Hanoi authorities are trying to increase information of the railway and discount taking effect on April 19 with the aim to encourage Hanoians to use public transport.